….. It was 30 years ago today – Our Algernon met Mrs A ……. Congratulations to you both. Interesting mix Algernon and congratulations. I thought so HOO, thanks. Found a winnebago yet? With all the rain it has been hard looking. Will try again next week. The right one will turn up. Most of the 1980s is a bit of a blur for me. 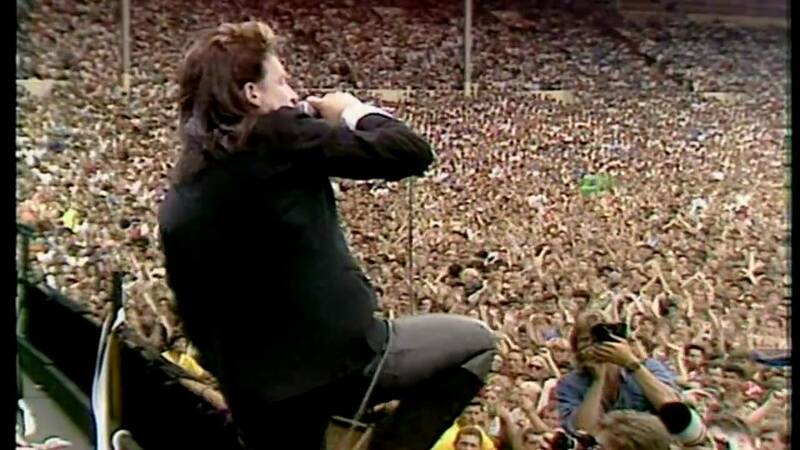 I did enjoy the Boss – and caught him twice on the Born in the USA tour. Bowie and Jagger – Great – and Dire Straits, Frankie Goes to Hollywood. All excellent tracks. Thanks, Algy . This list probably reflects were I was at the time and where I was living. Missed the Wembley concert as I was somewhere in Spain at the time. I’m more a fan of the early 80’s than the late. Actually I spent spare time yesterday going through last week’s play list so I am totally out of sync. This lot is really good. I enjoyed putting this one together. The reflection on the time also.